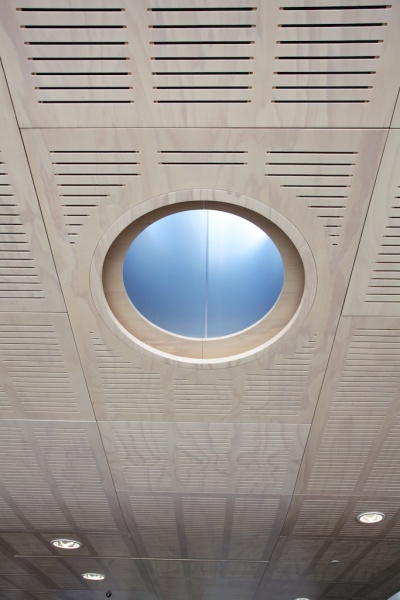 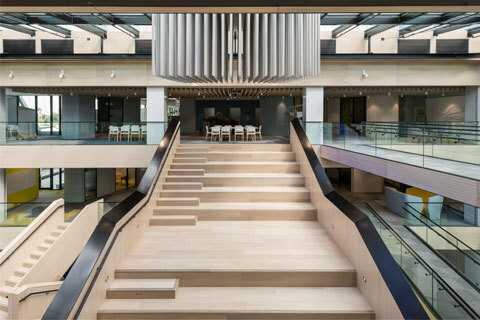 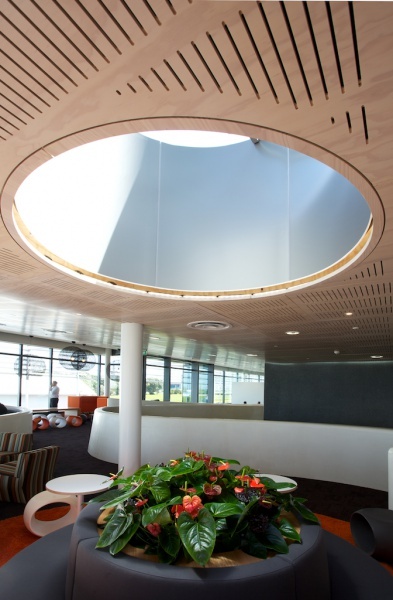 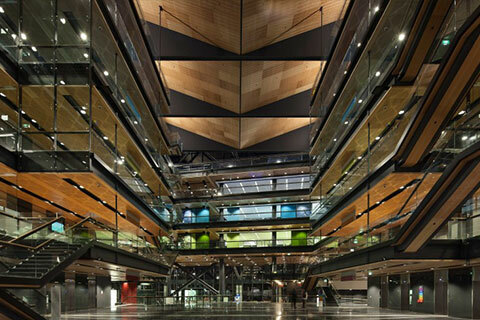 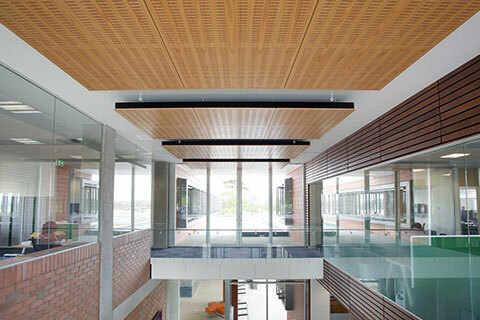 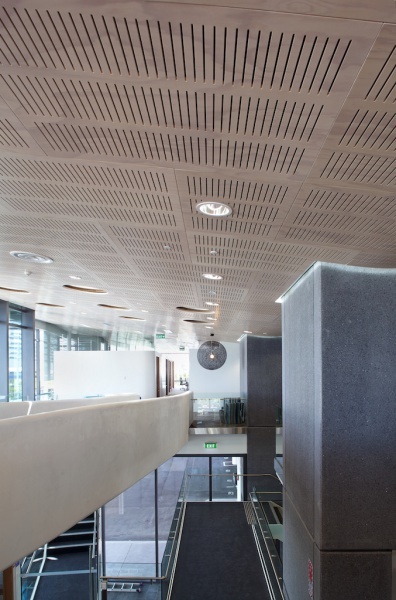 Jasmax Architects specified Décortech Firesafe Radiata Plywood ceiling panels with a blonded finish and slotted perforations in the Atrium for Quad 5. 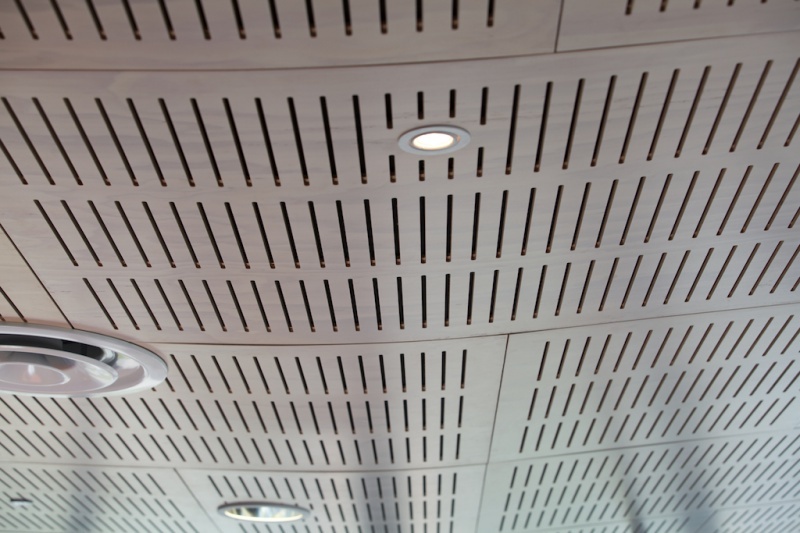 Décortech Firesafe Radiata Plywood panels provided both the acoustic treatment and fire rating required in the space and as well as helping make the ceiling a standout feature of the project. 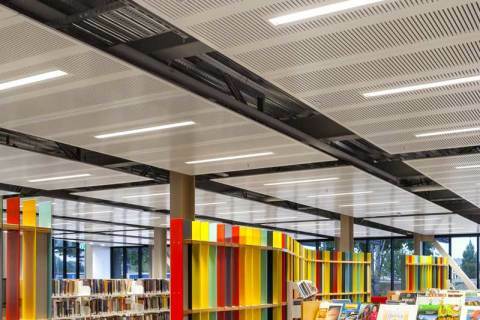 Slotted Perforations were specified to achieve the open area and NRC values required for the acoustic treatment with the perforations being stopped around penetrations and cut-outs to create features of the light columns. 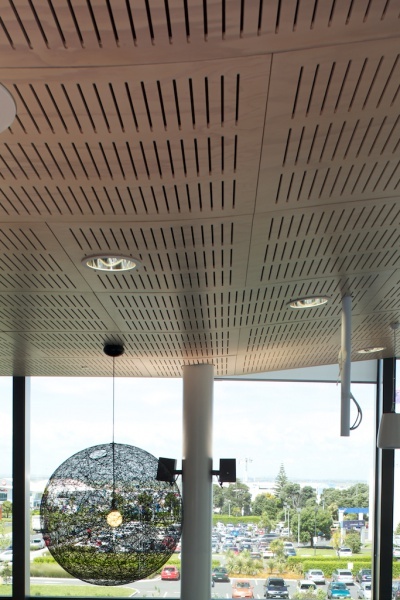 CAD files were provided by the architect and the panels were designed by Décortech to fit inside the space, minimising the extent of site measures required. 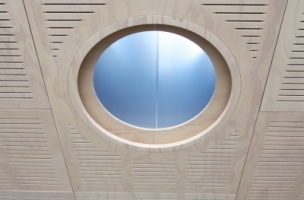 Shop and assembly drawings were provided for final checking prior to manufacture. 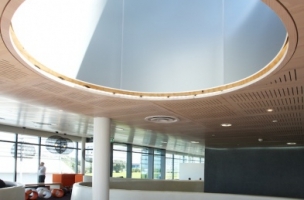 This allowed for more time for the installer to template the more complex areas such as the curving panels around the light columns. 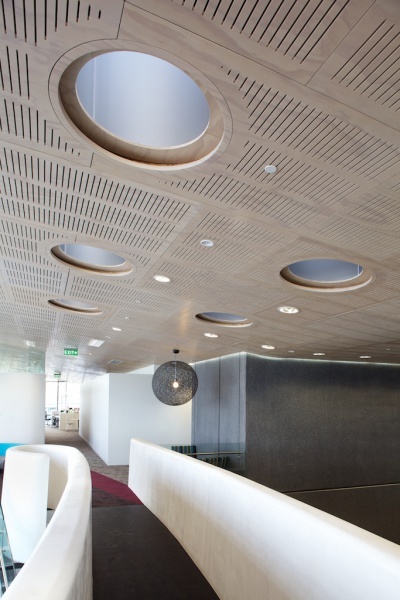 The panels rake with the ceiling and were curved at one point to follow the curve of the ceiling creating a seamless flow of panels. 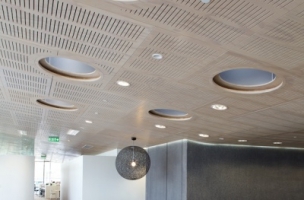 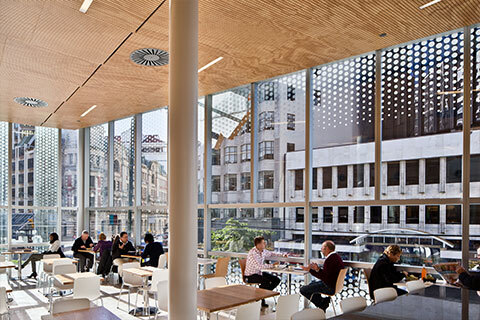 Ross Duxfield Quad 5 Project Manager from Scarbro Construction states “Similar attention to detail was required for the Décortech Timber Ceiling Panels. 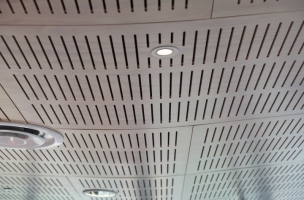 More than 400 individually designed panels were computer programmed to ensure the penetrations would be precisely positioned. 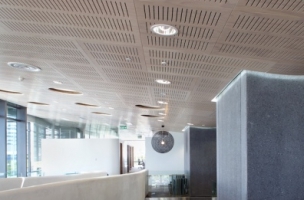 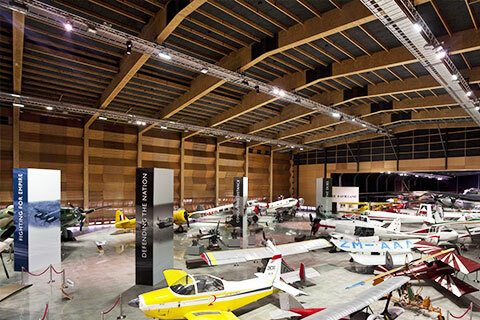 The ceiling is a key feature of the interior and it required extensive co-ordination of the building services and penetrations. 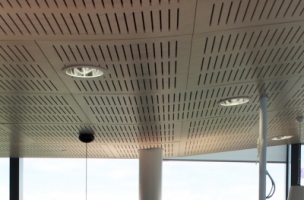 All of these were mapped out in precise details the pre drilled panels delivered to the site all ready for installation”. 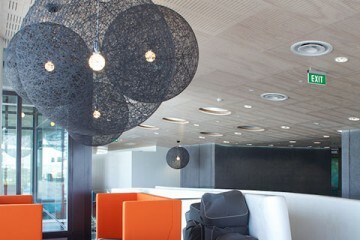 The new fit out has changed the space from a cramped office with no acoustic absorption and natural light to a light open area with good acoustics where the clients love the finished result and now enjoy using.